Imagine somebody asking you about what SharePoint services are and the uses of it. 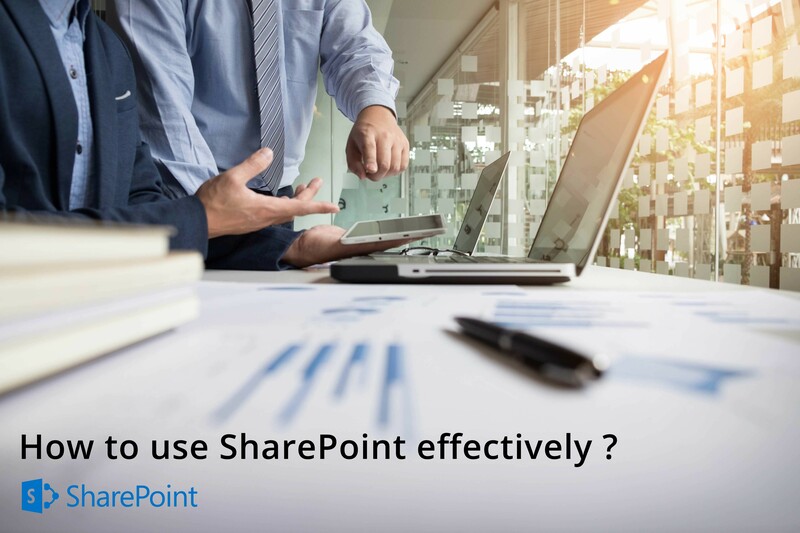 You would probably say SharePoint is a web-based collaboration platform that gives you a chance to manage secured team/project specific sites to help in business processes. You would be right, but there are many other functionalities as well that a SharePoint can take care of. Does it have any confidential data that requires immediate access from multiple team members? Do you experience hardships juggling through calendars? Are your confidential business-related records scattered within the system? The need for updates on the project or want them automatically pushed to the workstation. Your responses to these questions can help you decide whether SharePoint is ideal for your business. The final result isn’t much about the product itself, it’s about investing your time and energy on something theta matters like growing your organization, thinking inventively, and guaranteeing that your colleague’s performance as well. By implementing SharePoint services, you can get back to what you do best, i.e., thinking out of the box. Despite the fact that SharePoint has been launched in the market for about 15 years, still, the majority of the people don’t know what SharePoint is. We can take the scenario of business users, they don’t care what Active Directory is. For business users, it is all about logging on and getting to work. It’s simply because business users don’t care what SharePoint is. They think about how it will help them to complete their tasks. This is the reason why many enterprises settle on the choice to not identify SharePoint as a solution instead label them as an intranet or Content Management System. To an extent, this makes sense into the business users as it gets their tasks done. Now, how about we inspect three of the most well-known approaches to use SharePoint. Apart from using it as an intranet solution, SharePoint is also employed to disseminate data and make assets accessible to employees, your association additionally needs a centralized content management system (CMS) where clients can store, share, and team up individually data. Where are your business users storing their reports? Is it a waste of time to manually dig for content? How are they sharing reports? How are they evaluating peer’s content changes? Do they need to work on records someone else already has opened (co-authoring)? Would the capacity to manage (audit and reestablish) past documents be helpful? Do you have a document repository for archives that should never be edited however should remain accessible? File shares are used extensively these days, however, are not fit for giving information much more than structured document storage. They have restricted permission in management functionality and remote access capabilities often asking employees to use VPN connections to retrieve a file when they are not around. Modern-day collaboration needs fast metadata-based search, document sharing and document version management which are not supported in File Share. Guess where you can discover them? yes, SharePoint! As a CMS, SharePoint also provides records management, business workflows, and custom metadata support, all accessible remotely through your internet without utilizing a VPN or Cloud storage. PerformancePoint gives you a chance to make dashboards and KPIs to visualize and filter information as scorecards and reports. PowerPivot support expands Excel’s native abilities, enabling you to gather information from different sources and shape it into relevant and effectively consumable PivotTables and charts that can be shared through a web part or the Business Intelligence Center – a SharePoint page particularly designed for reporting. Visio Services gives you a chance to transfer and offer Visio drawings, and even revive information associated Visio records inside SharePoint to guarantee consistent accuracy. While these capacities won’t really engage everybody in the enterprise, however, your BI team will discover many uses for SharePoint’s extensive analysis functionality. As the product evolves, SharePoint also changes their functionality and turns out to be a significantly more mature part of Office 365 with Groups for Office 365, with OneDrive for Business. Another reason everyone makes use of SharePoint is that it is a web platform. That implies everybody within the organization can have easy access with any browser. That is quite spectacular, particularly since, we are in 2019, and is witnessing better adoption for SharePoint solutions. Big companies make use of SharePoint; since they are the perfect platform for enterprises to convey their tasks and assignments. You can literally do anything with SharePoint, for e.g. you can create a team site to collaborate with your colleagues. SharePoint can be easily adapted to most of the cases available in your enterprise. All you need is the comprehension of what is possible to open some incredible advantages for your communication strategy. Therefore, here are some strategies to fine-tune your internal communication by utilizing existing functionalities within SharePoint. A Discussion Board: A Chat group to discuss the tasks and assignments of the employees. Wiki Library for Quick Content: A document library that can organically expand by linking existing and new pages. Announcement Lists: A place where you are allowed to make an announcement with an expiry date. Template for SharePoint Community Site: A functionality that lets you operates as a mini social network around a subject. SharePoint is a textbook example of how a tool can be used in many different ways. So remember, when you’re on the verge to decide on how to use SharePoint at your company – understanding the business requirements and trimming the platform to serve those requirements is more important than anything else. How to Use SharePoint: What’s Next? Since you have a few ideas on how to utilize SharePoint, it’s a good time to see how you can better manage it – whether you’re setting up an on-premises environment, going to the cloud, or blending the best of both worlds in a hybrid scenario. Such powerful capacities of SharePoint have prompted high demand for collaboration in work environments. Therefore, SharePoint developers are offering extensive SharePoint service to guarantee improved accessibility, productivity, and participation. Aufait is capable of actualizing the new SharePoint development and adjusting them as per your business necessities.